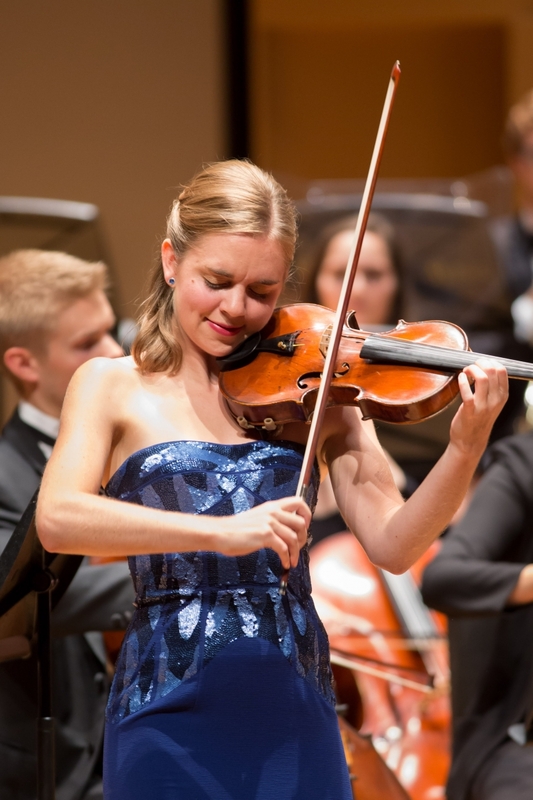 Congratulations to Amy Hillis (D.Mus 2019), who won the 41st Eckhardt-Gramatté National Music Competition in Strings this past weekend for her stunning final-round performance with collaborative pianist Katherine Dowling. As the first-prize winner, Hillis received an award totalling $15,000, including a $8000 cash prize, a residency and recital at Italy's Casalmaggiore Interntional Music Festival this summer and a multi-city Canadian tour in the fall. The competition, which has been running since 1976, requires finalists and semi-finalists to play a program that's made up of at least half Canadian music, as well as a yearly commissioned work – this time Carmen Braden's Foxy Fox's Musical Games. Of the competition, Schulich's Chair of Performance Stéphane Lemelin said "The E-Gré is one of Canada’s most prestigious musical events and it has contributed to launch the careers of a host of outstanding Canadian musicians since 1976. We are immensely proud of Amy Hillis’ success and look forward to following the development of her career in years to come." Hillis, a student of Axel Strauss, actively researches the unique compositional styles of Witold Lutosławski and Henri Dutilleux, and maintains a busy performance schedule.